College admissions expert Mark Montgomery of Montgomery Educational Consulting in Denver visits university campuses around the country. He recently visited Lawrence University, an outstanding liberal arts college and music conservatory in Wisconsin. We give our families first-hand information that can help guide students in their college choices. 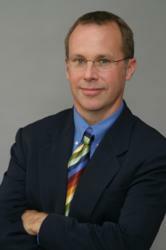 College admissions expert and application coach Mark Montgomery knows colleges. As founder of Montgomery Educational Consulting in Denver, Colorado, he spends about 20% of his time traveling around the country, getting to know colleges and universities from the inside out. The purpose is to better serve the firm's students and families as they navigate the college admissions process. Dr. Montgomery recently returned from a trip to Wisconsin, where he spent two days on the campus of Lawrence University in Appleton, Wisconsin. Lawrence is a small liberal arts college with a top notch music conservatory. With rigorous academics and a lively arts scene, Lawrence stands out as place where the serious student and the serious student can find an academic home. "The importance of a campus visit cannot be underestimated," says Montgomery. "Our team of experts prides itself on getting to know admissions officers, professors, administrators, and support staff. We want to give our families first-hand information that can help guide students in their college choices." While on the campus, Montgomery recorded a short video about Lawrence University to share with his clients on the company blog. For more information about Montgomery Educational Consulting, call 720.279.7577, email info(at)greatcollegeadvice(dot)com, or visit http://greatcollegeadvice.com.